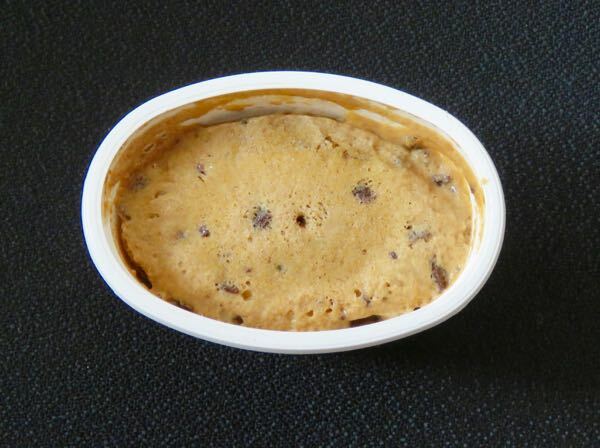 Welcome to Day #10 of Chocolate and Ice Cream Theme Week; and Day #1 of Chocolate and Almond Theme Week. 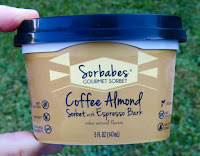 Sorbet is not ice cream; but this offering was a frozen dessert, and it served as a transitional item into Today's Coffee Almond Sorbet with Espresso Bark and other natural flavors was from Sorbabes Gourmet Sorbet (Le Mars, IA). This frozen dessert was rich, sweet and refreshing, and was made with no soy or gluten; and it was labeled Non-GMO.